APRC's Annual Volunteer Appreciation Dinner took place on Wednesday, January 31, 2018 at the gorgeous Stardust Lounge at the Ashland Hills Hotel and Suites. The dinner was attended by over 80 APRC volunteers, who ranged in age from 25 to 85, each bringing a different skill set… from photography to teaching children to birding to botany. 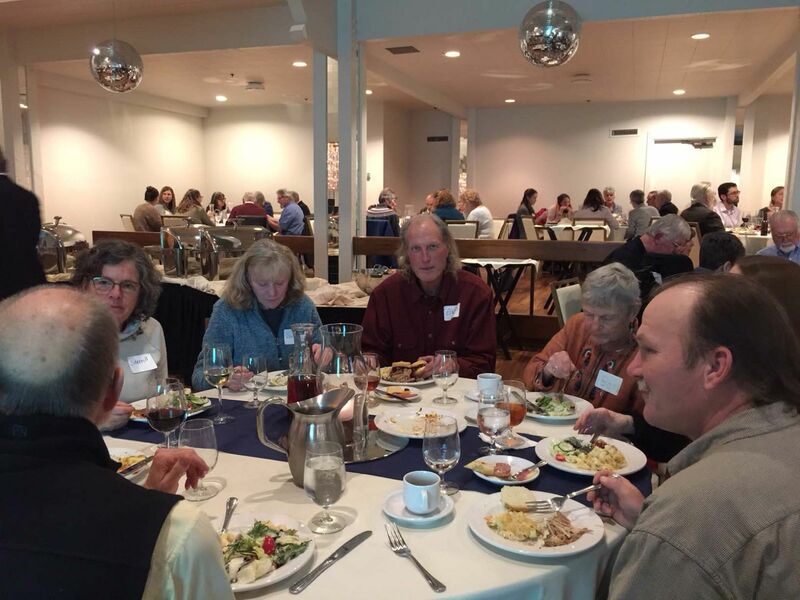 The knowledge and experience of Ashland Parks & Recreation volunteers is simply amazing! Volunteer opportunities can be found at the Ashland Senior Center, at North Mountain Park Nature Center, at events such as the annual Bike Swap and in all of Ashland’s many parks! Visit the APRC home page or contact our Volunteer & Event Coordinator, Lori Ainsworth, at 541.552.2264 or email for more information. VIP - Volunteer in Parks, "It's the Natural Thing to Do!"